So you want to buy local produce, but you also want strawberries in December? Soon you can have your cake – scratch that – vegetables, and eat them too. 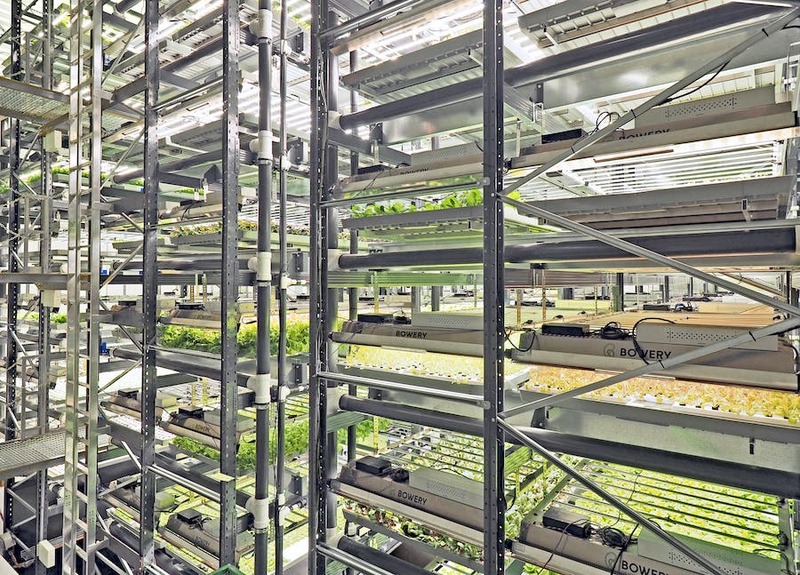 Up to 100 varieties of vegetables, including lettuce and kale, will soon be grown in an indoor warehouse in New Jersey, supported by a solar microgrid to keep plants growing all year round. Bowery Farming’s facility will be be powered by batteries, solar panels, and on-site gas generators to enable it to operate independently from the electric grid. Scale Microgrid Solutions will build, own and operate the microgrid, and Schneider Electric will provide most of the infrastructure and software for the indoor farm. Bowery is well acquainted with high-tech agriculture, making waves with its “post-organic” vertical farming which landed it $20 million in investment in 2017. In fact, its produce is grown in trays and requires no soil at all, using 95% less water than traditional farming due to a finely-tuned hydroponic system. Now, it is adding microgrids to its tech-repertoire. 15% of the power will come from solar, while some of the power will still come from the grid, and the rest from the natural gas generator and batteries. So while New Jersey winters will bring cold winters, with short days lacking in sunlight, the indoor farm will be unaffected. Schneider Electric’s lithium-ion battery energy storage system will store solar energy that can be released to lower demand from the grid. Schneider currently has more than 300 microgrid projects on the go in the US, and is using its EcoStruxure Microgrid Advisor software platform for cloud-connected, demand-side energy management. It’s integrated into the system to enable a look at current electric rate tariffs and optimization of energy usage – but does so faster than any human could. This, combined with Bowery’s hydroponic system that uses 95% less water than is normally needed to grow plants, enables the creation of a super high-tech urban agriculture startup that will perhaps change the way we think about farming. Bowery Farming is set to begin the microgrid project this year, we can’t wait to see some tasty results.